Ed Tech 4 Theatre: Sweet Dreams Are Made of This- My first year as a Google Certified Teacher and Google Education Trainer. Sweet Dreams Are Made of This- My first year as a Google Certified Teacher and Google Education Trainer. I feel that Google has broadened my world view in so many ways. Since I became a Google Certified Teacher, I now can say have colleagues all over the world. The experience of my Google Teacher Academy was life changing. Becoming a Google Certified Teacher and Google Education Trainer has helped me become an agent for change in the educational system. I am thankful for the opportunities and inspiring individuals have had chance to meet since becoming a Google Certified Teacher. I wanted to take a moment to thank all the educators who have inspired me. I really have to have a debt of gratitude to MORE.NET- Missouri Research and Education Network. After I finished my masters degree in 2007, I started looking for places to take additional graduate credit, I have always been interested in Education Technology so I found their website and started signing up for one day trainings. They were one of the first places to offer training in Google for Education. I want to thank Bob Martin, John Riley, Andy King and Denise Tate-Kuler for all the great tips and tricks they have shared over the years. I think I have taken all the workshops they have to offer. They will need to create some new ones, so I can sign up to take them. The knowledge I gained from MORE.net, inspired me to start offering after-school professional development in my school district during 2011. Jenni George, my school's library media specialist, and I started developing trainings focusing on ways to use Google for Education in the classroom. I really started developing a passion for developing professional development for teachers during 2011. It really laid the groundwork for 2012 in which I began to dive even deeper into Google for Education. There were 3 events I attended in 2012, that spurred me to become a GCT and GET. The event that began the transformation was EdCamp St. Louis founded by Bob Dillon and Chris McGee. Attending this EdCamp, inspired a change in how I teach and ignited the desire to become an educational technology leader. As a result, I started an educational technology blog to help other Theatre and Film teachers because there is a need for content that has been curated specifically for Theatre teachers. While at EdCamp St. Louis, I won free registration to the Ed Plus's METC conference in which able to attend great sessions lead by Google Certified Teachers such as Adam Bellow, Rushton Hurley, Ken Shelton, and Lucy Gray. The Third event that sealed the deal, was the 1st Great Plains Google Summit organized by Nebraska's ECUs which featured Googlers Tia Lendo and Becky Evans, keynote speakers Jaime Casap and Jeff Utech, and presenters Jim Sill, Molly Schroeder, Benjamin Friesen and Jeff Unruh-Friesen, and Mitch Dowhower. Who knew 9 months later , when I was presenting at the EdTech Team's Illinois Summit featuring Google, it would be that would that EdTech Teams’s Molly Schroeder would be one of the GCTs who scored my video/application and Jim Sill would be my team’s Lead Learner at GTSYD. I was definitely hooked. I remember introducing myself to Jim because he was a film teacher. There are not too many of us at the high school level. I went to Molly’s workshop on ways of becoming Google Certified. When I got home, I was inspired to apply for the next Google Teacher Academy. I had about 5 days to write, edit and apply. Of course, I Googled Jim Sill and the other GCTs when I got home. In the search results, I found the Edreach.us Network. I found two shows on this Educator focused network that fed my soul. It started watching Educast Nation during the summer of 2012 featuring GCTs James Sanders, Jim Sill, Adam Bellow, Diane Main,and others who were discussing real life situations and issues that all teachers face. I was not alone. It renewed my drive to keep pushing forward to advocate for and provide professional development for teachers. I also stumbled upon a show that has had a profound affect on me. The Google Educast featuring GCTs Kevin Brookhouser, Diane Main, Sean Williams, Fred Delventhal, Kim Zimmer, and Juan DeLuca. It is “Must Watch TV” for me. I watch it every week to this day and only I have missed it on a few rare occasions. They are great group of educators who I feel are my mentors or Jedi Google Masters. One of the GCTs from the Google Educast who has extraordinary impact on my life as an educator is Kevin Brookhouser. I first got inspired by Kevin Brookhouser during a Google Education webinar in Nov of 2011 Title Google Docs for English Teachers. He demonstrated how to use Google forms to grade student work. I was so excited and began incorporating the use of Google Forms more and more into my teaching. I e-mailed Kevin the next day and he was very helpful and share more resources with me. I was thrilled that I had found him on the Google Educast almost a year later and was able to learn from him and other GCTs the show on a weekly basis. I remember the 1st shout out I got on the Google Educast as Kevin struggled through pronunciation of my last name and how Diane Main had got it right the first time. It was also during this time I had really wanted to find out if there was a way to pull the information from the Google Spreadsheet that the Google Forms input their data into. Around this time, I discovered Andrew Stillman- Google Apps Scripts God and his script Autocrat. It was my mission to get this figured out and I did. I created a YouTube tutorial that explained the process of using Google Form to do the grading and then have the data populate in a Google Document which would be e-mailed to each student with their feedback formatted so that was easy read and understand. Well that video impressed Kevin and he invited me to be on the Google Educast. I was honored and thrilled to be a guest on the show. I was able to guest and share the process on in early 2013. I am continually in awe of the passion and drive Kevin has for education and helping his students succeed. I feel lucky that I can call him a colleague and friend. 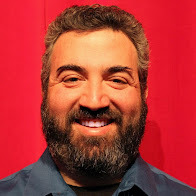 Shortly after my appearances on the Google Educast, I received an e-mail from Edreach.us co-founder Dan Rezac ask if I would interested in hosting a show about Theatre Education. I was extremely excited and a little bit nervous. I knew I just didn't want host the show alone, so I began my search for a co-host. Well I had to look no further than the Google Educast, It just so happened that during the Google Educast that has held during the week of GTA in Mountain View they had asked newly minted Danielle Filas to as guest on the show. Well Danielle was into EdTech and had a vast Theatre Background. It was Kismet. I e-mailed Danielle, which was basically a cold call, we had followed each other twitter and Google plus, but really didn't know each other. Danielle was game and we began TheatreCast podcast on the Edreach network in February of 2013. I have had so many fun, heartfelt, passionate discussions about Theatre and what it can do students with Danielle and our guests. I am a better teacher and Theatre artist for knowing her. Well, third time was the charm for me for getting into the Google Teacher Academy, I realized that the video should reflect you and your passions. What are my passions Ed Tech and Theatre. I had been thinking about Hamlet’s “To Be or Not Be” speech “To Google or not to Google”, but then it hit me Hamlet’s advice to the players “Speak the Speech I pray you became “Search the Search I pray you…” Well it worked and there went my tax refund last year. I was headed to Google Teacher Academy Sydney 2013. Only 5 teachers from the United States were chosen, I was very honored to be chosen. It was like winning the lottery and 3 days later I found out I also became a Google Education Trainer. The experience of my Google Teacher Academy was life changing. The energy in the room was palpable. If I could bottle the excitement that is in the room during a Google Teacher Academy, I believe it could power a small city for a month. I got to meet my friend and Lead Learner Chris Betcher from the Google Educast and visited his school later that week. I meet teachers from all over the world who were passionate about providing the best education possible for their students. . I also got to had great time exploring Sydney with my #GTASYD roommate, Narender, who was from India. I spoke at a Google@School Event at the Google Sydney office, after which I was invited to be a featured speaker for the Kansas City Google Fiber Education Event in the July 2013. I am grateful to Becky Evans for recommending me to speak at the Google Fiber event and Devin Regis for all her help and hospitality. I also was able to spend time with GCTs Kyle Pace and Melinda Miller at the event. Since the GTA, I have gotten to know many more GCTs and GETs on fellow GTASYD cohort member Lee Webster's Google Demo Slams including Allison Mollica, Donnie Piercey, Chris Betcher, Sarah Woods, Brian Gray, Michelle Armstrong, and many more. We have a great time sharing the Google-ly Goodness and also a whole lot of fun when we are off air. I am thankful for the chance to interact with my Google Apps Scripting Gurus- Andrew Stillman, Jay Atwood, Dee Lanier and Bjorn bernhardt via Hangouts on Air . I met Jay at GTSYD and had a great time meeting Dee in person at Edtech's Illinois Summit featuring Google for Education this past March . If you get a to attend a summit featuring Google for Education near you, don't pass it up. I am so indebted to EdTech Team's Jim Sill and Molly Schroeder for inspiring me to begin apply to be a Google Certified Teacher. I also excited to be working with the Missouri Google Certified Teachers as we be holding our St. Louis Summit featuring Google in Education on October 4th with Missouri GCTs including Greg Lawrence, Bill Bass, Stephanie Madlinger, Diane Dell, Patrick Dempsey, Cindy Lane, Alexandria Mooney, Dan Reeves and Eric Langhorst. Early bird registration will begin in a couple of weeks at http://gafemo.com. I think this first year is just the beginning of an amazing adventure.